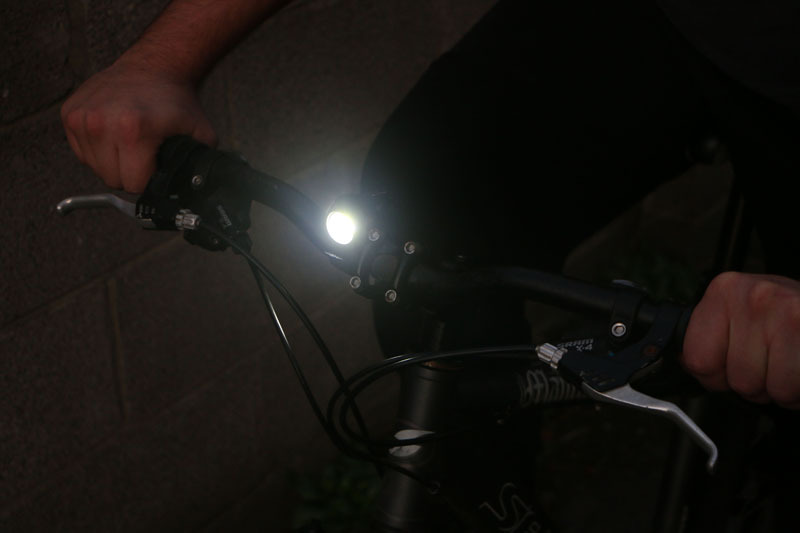 Versatile, bright utility lights that can be attached to pretty much anything! 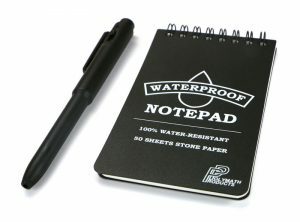 Their compact size allows them to be easily carried at all times, and makes them ideal for emergencies, outdoor activities, cycling and automotive uses. Highly durable aluminium cube-shaped body featuring various attachment surfaces and an easy-to-use toggle power switch. Bright and efficient ‘COB’-type LED unit for great illumination at night. 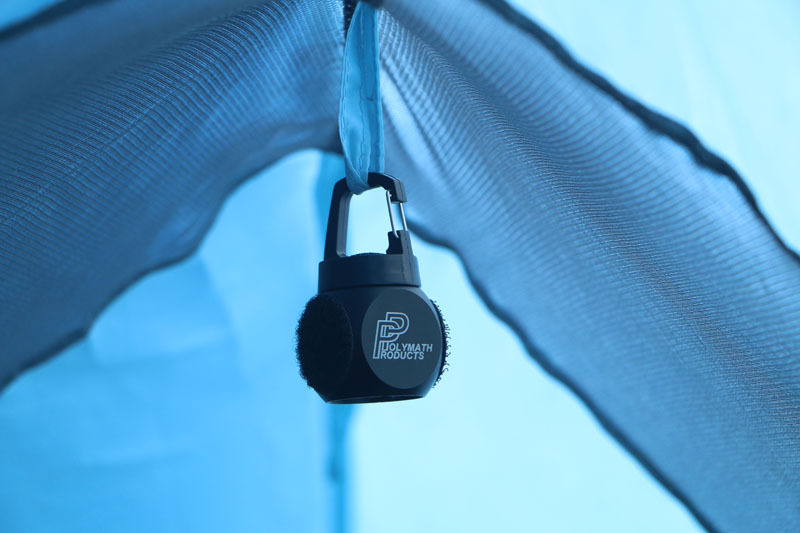 Sprung clip allows quick attachment to your gear or hanging inside a tent, etc. Powerful neodymium magnetic surface for attaching the lights to steel surfaces, such as most vehicle bodies, metal doors or industrial structures. 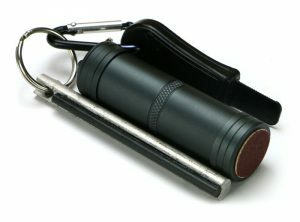 Ideal as a pocket-sized automotive work light. Hook & loop attachment system, featuring both a hook pad and a loop pad along with a hook & loop strap. 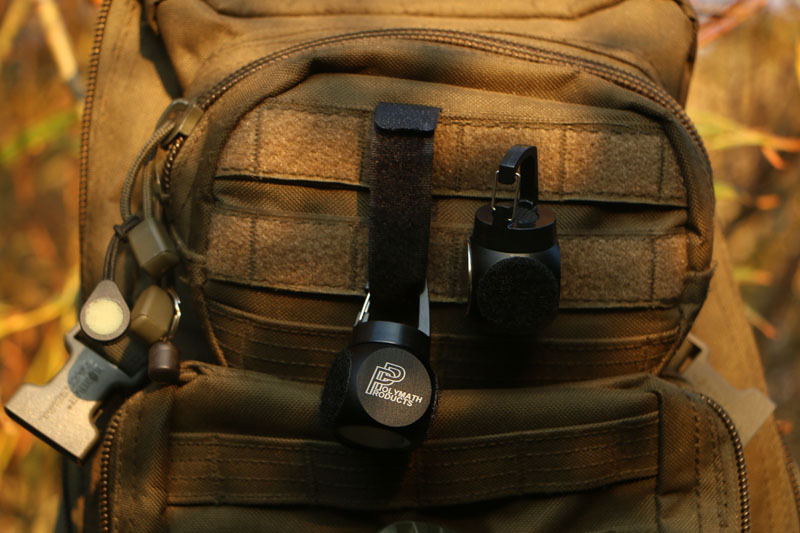 This allows the OmniTorch to be attached to anything with this type of surface such as bags, hats and jackets. The strap can be wrapped around anything like poles, branches and bicycle handlebars, allowing for a wide variety of applications. 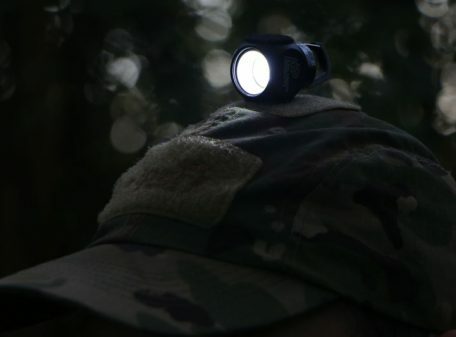 An LED light is essential when working in darkness, but you can’t always hold it in the right place, especially when working with both hands, and sometimes you may leave a larger work light at home. The cube-shaped body allows it to be placed down on surfaces without rolling away like a traditional flashlight. 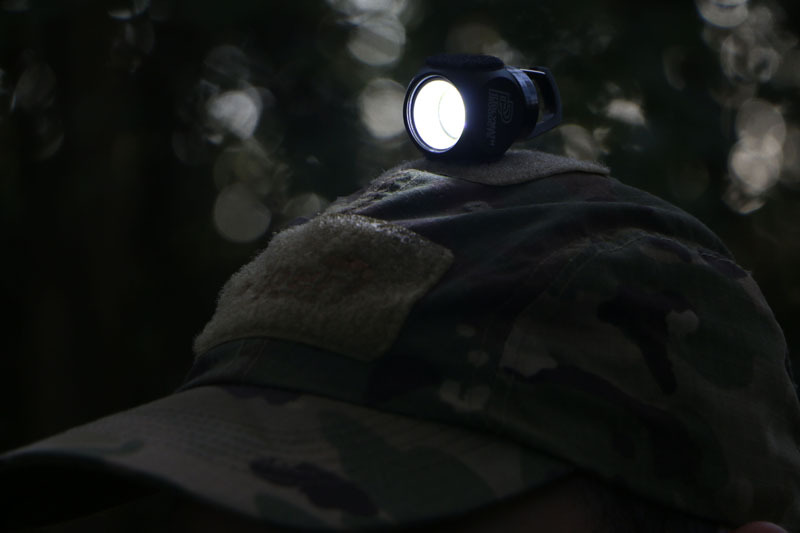 Its small size allows the unit to be unobtrusively carried almost anywhere, so you are never without light when you need it. A sprung clip means you can keep it safely attached to your gear or hang it from inside a tent, and many other places; an ideal multi-purpose light to take camping with you. 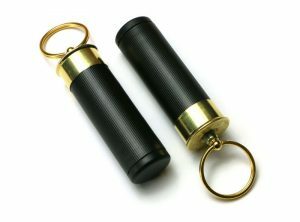 A neodymium magnet allows the light to firmly attach to steel surfaces; perfect for sticking to your car’s wheel arch when you need to change a wheel in the dark. 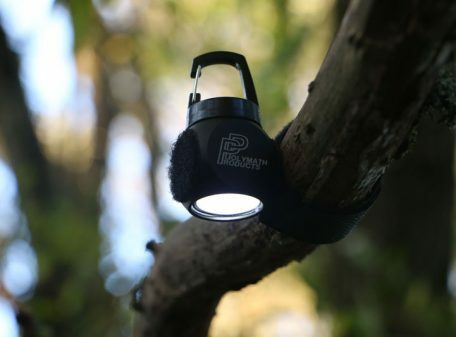 The hook & loop pads can be used to attach it onto any gear that features these surfaces, which also means it can be quickly made into a head torch by attaching it to a hat or head strap with hook & loop surfaces. The hook & loop pads work with the included strap to allow attachment to anything the strap will wrap around or through, such as; poles, branches, bicycle handlebars, fishing rods, gates and fences. Self-adhesive hook & loop pads are also commonly available, that would allow you to provide a mounting point for an OmniTorch, such as inside a car interior or on walls for an emergency grab-and-go light. 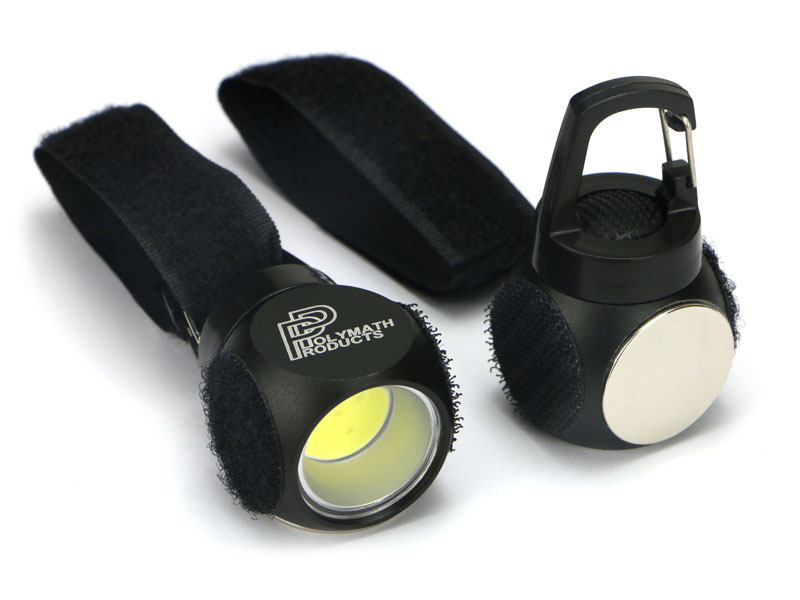 Pack includes: 2x OmniTorch utility lights, and 2x hook & loop straps. 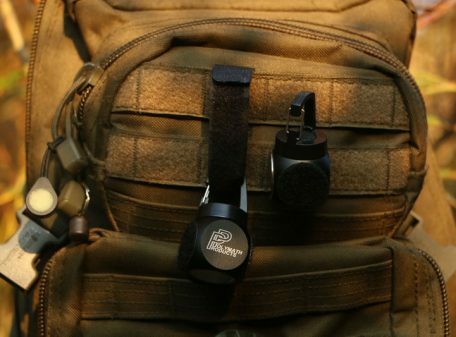 Each unit uses two easy-to-change CR2032 lithium batteries, which are included. Each unit size: 31mm x 29mm x 59mm. Weight: 44g. Maximum strap diameter: 45mm. 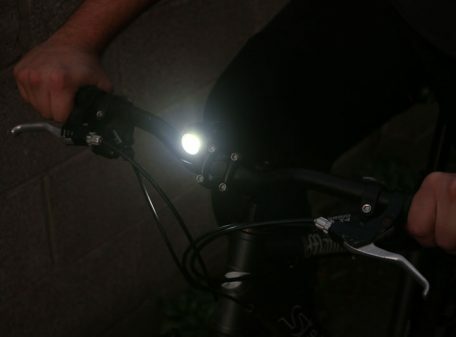 Brightness: 60 lumens. Run time: 8-10 hours. Each unit size: 31mm x 29mm x 59mm.